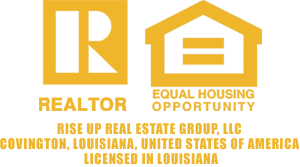 Rise Up Real Estate Group is the premier real estate brokerage and solutions company serving people in New Orleans Metro Area. Since our inception we have enjoyed helping aspiring and current homeowners achieve their goals along with improving neighborhoods and communities in the process. The company’s founder, Bret Barattini, loves the real estate business and he stays active as a real estate broker, real estate investor, real estate developer, and real estate coach. Bret was born in New Orleans, Louisiana. He attended St. Paul’s School in Covington, Louisiana. He was a member of the class of 2001 as well as the state championship wrestling teams in 2000 and 2001. He serves as a wrestling coach at his alma mater to this day. Go Wolves! Upon graduation, Bret served in the U.S. Navy. He was honored with an appointment to the United States Naval Academy in Annapolis, Maryland. As a member of the class of 2005 and 13th Company, he wrestled for the Navy Midshipmen. Aught Five! Go Navy! Next, he attended Louisiana State University in Baton Rouge. In addition to his studies, Bret was active at Christ the King Catholic Church, pledged Sigma Nu, and played LSU Rugby. Upon graduation in 2010, Louisiana State University awarded him with a bachelor’s degree in Interdisciplinary Studies with a concentration in Studies in Organizations. Geaux Tigers! Bret enjoys staying active. He has competed in marathons and triathlons as well as owned a CrossFit box. He is a PADI SCUBA Divemaster, a USHGA Hang Glider Pilot, and is licensed to ride motorcycles. He enjoys Saints and LSU football, the beach, snow skiing, camping, backpacking, fishing, sailing, good food, live music, and celebrating holidays. Bret loves his family and his dog, Scout. 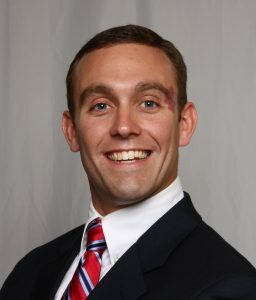 Bret earned his Louisiana Real Estate Salesperson’s License in 2012. Next, he earned his Louisiana Real Estate Broker’s License in 2016. He is an active member of the business community in the New Orleans metro area. Bret has gained the knowledge, skills, and relationships to serve the community via associations with the National Association of Realtors, the National Real Estate Investing Association, the Louisiana Real Estate Commission, Louisiana Realtors, the New Orleans Metropolitan Association of Realtors, the New Orleans Real Estate Investing Association, and the Northshore Real Estate Investing Association. In addition to founding Rise Up Real Estate Group, Bret has helped more than one thousand customers and clients achieve their real estate goals and dreams. Through our extensive knowledge of the real estate business, our understanding of the real estate market, our network of relationships, our resources, and our years of experience, we are able to assist people with a wide variety of real estate services. We pride ourselves on our reputation for working one-on-one with each client and customer to address each of his or her individual situations and achieve a positive outcome together. Our Vision is to build relationships that empower as many people as possible to approach their real estate goals with confidence. Working as a team, we will overcome any challenges and achieve your real estate goals together. 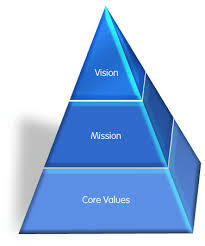 Our Mission is to share our time, energy, knowledge, resources, and skills to help you achieve your real estate goals. Our Core Values include faith, family, joy, gratitude, humility, courage, discipline, perseverance, honesty, integrity, loyalty, excellence, leadership, education, generosity, health, teamwork, competition, victory, and fun. Contact us today to learn how we can work together! 1.Rise Up Realty Consulting is our real estate brokerage and consulting company. We serve our clients as their agent. We consult with clients to help them successfully buy and sell properties in today’s real estate market. We have helped and continue to help many clients achieve their goals to buy and sell real estate. Whether you are dreaming of buying your first home, upgrading to a special new home, selling to downsize, or moving to relocate for work or personal reasons, we can help. Since 2012, Bret Barattini, the company’s founder, has brokered and closed many transactions for clients while serving as their Realtor. We also provide expert real estate coaching and consulting services to other real estate agents, investors, and developers helping these real estate professionals maximize their performance and achieve their goals as well. 2. Rise Up House Buyers works with sellers as a direct buyer. This can be a great alternative to working with a real estate brokerage to list a property for sale. First, listing property with a real estate broker on the retail market often requires time and money spent to prepare the property to meet expectations of and attract retail buyers. Second, sellers also expect to be on a constant state of alert as buyers could request showings with little to no notice. This means that sellers could become uncomfortable living in their own property. Third, sellers have no real knowledge of when their property will sell. Actually, there is no guarantee that any property will sell simply because it is listed for sale. Since we have the ability to directly purchase property and make cash offers, we can create an extremely fast, and hassle-free transaction for sellers. 3. Rise Up Real Estate Development serves as a real estate investment specialist actively developing, redeveloping, and holding property in today’s real estate market. 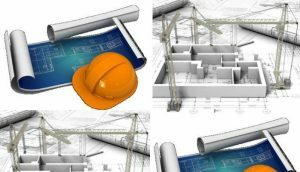 The organization works with local government, commercial and private lenders, attorneys, architects and planners, engineers, surveyors, contractors, materials suppliers, real estate agents, inspectors, and appraisers to coordinate development and redevelopment of real estate for profit. We currently have multiple development and redevelopment projects in various phases of completion. 4. Rise Up Real Estate Investments provides individuals the opportunity to make private loans on our real estate projects. We provide investors searching the markets for alternatives to traditional stocks, mutual funds, bonds, etc. with the opportunity to put their money to work with us in private real estate development and redevelopment projects. When compared to other investment opportunities, private lending is a relatively safe, secured, collateralized, insured, high-yield option. Since our start in 2012, we have brokered and closed many profitable real estate investment transactions as principal investor and owner. Rise Up Real Estate Group is truly committed to helping each individual customer who chooses to do business with our organization. We focus on fast response, integrity and over-delivering on customer service. By putting the customer’s needs first, whether you are selling a house, buying a new home, seeking expert real estate coaching and consulting, working with our development team, or you want to investment in the real estate market, Rise Up Real Estate Group will help you achieve your real estate goals.